The Birmingham Old Main Line (canal) was quite a pleasant surprise. 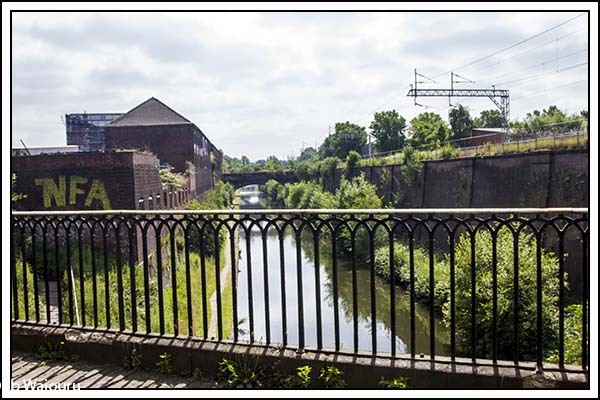 We were expecting to cruise through filthy rubbish filled water surrounded by grim and dilapidated old brick factories covered in graffiti. It was completely different. Almost a tranquil green linear park consisting of a mixture of redevelopment, residential, light industry and linear park. The water was some of the clearest we’ve seen this year. However we had to cruise from the Soho Loop to Smethwick Junction on the main line and that’s where you gained an impression of Birmingham’s industrial past. There were numerous small ‘arms’ which must have serviced factories in years past. Along the way there was an island in the canal which I assume was either a toll point or a gauging point (to check the weight of the load). Perhaps it was both? Initially I wondered why it would have been located in this position when we had already passed two other toll houses nearby. Then I realised there was probably a considerable amount of short haul canal traffic carrying produce and materials between local factories. There were only the three Smethwick Locks to go up and we met the only boater of the day at the second lock. A single handed lady (well she had two hands but was on her own) heading to Birmingham. We decided to pass the entrance to the Engine Arm, perhaps we’ll visit on the way back. Immediately after Spon Lane Junction we crossed over the New Main Line which, unlike the old Main Line, has a reasonable straight alignment. 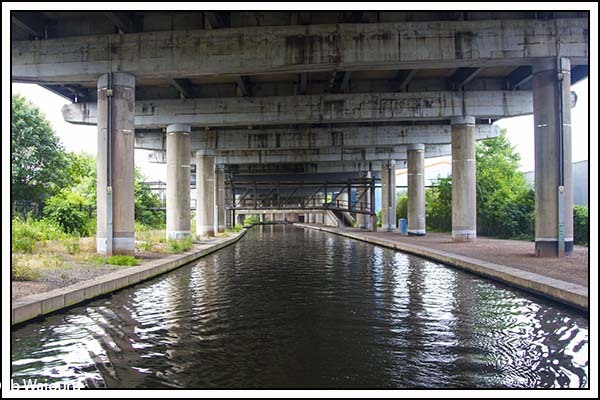 After that we found ourselves under the M5 Motorway with it’s huge concrete columns straddling the canal. The rumble of traffic could be heard overhead and we wondered how many drivers realised they had a 200 year old canal underneath. We had the impression Trevor (with shovel in hand) was being counselled about his performance! 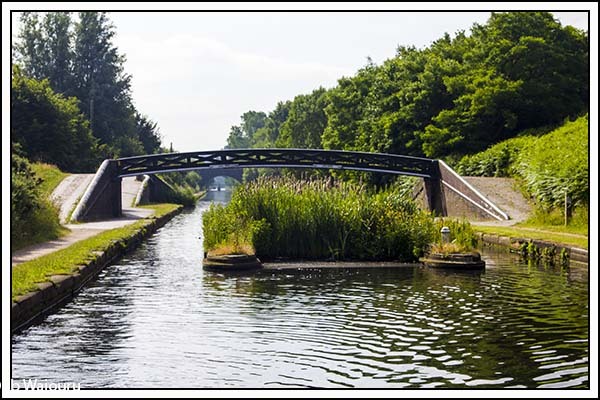 From Oldbury Junction to Tipton Junction the canal looked very residential and Jan noticed one or two homes she would have been happy to live in. 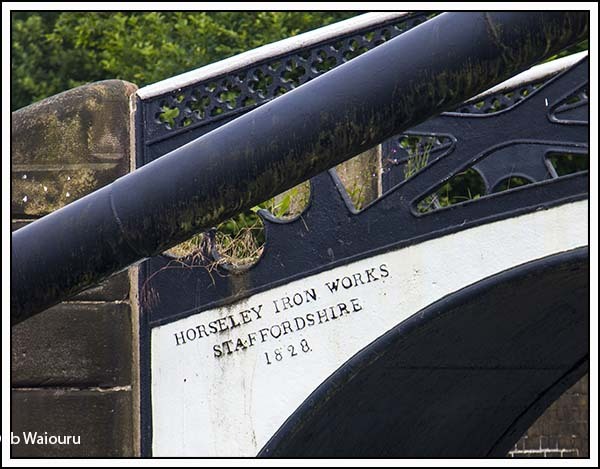 Reminders of the age of the canal appear everywhere. 1828. That’s 12 years before Britain annexed NZ! 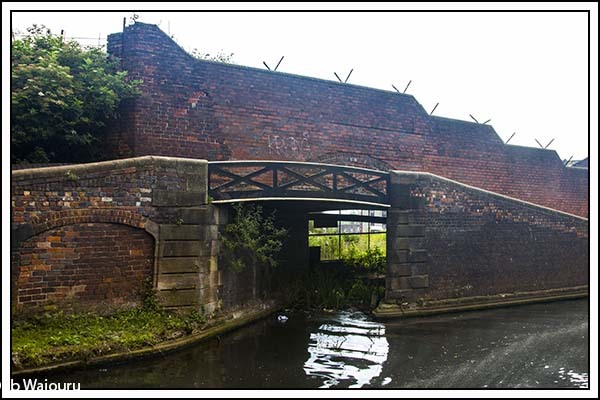 The current objective is to reach the Dudley Canal. 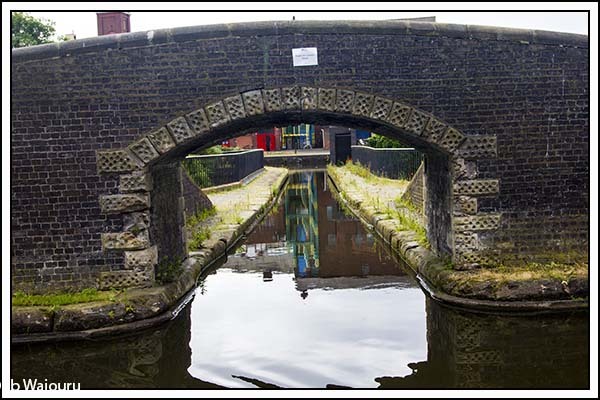 Dont leave Birmingham before you see us on Wand'ring Bark - part of the Floating Market, Good winding hole at the end of the Engine Arm.